Just found the gorgeous Bluetooth Speaker. Does have 20W Bass Stereo Sound and Alexa. Plenty good reviews. Same built/quality as a Sonos, Cambridge Audio, B&W etc. Up to 15H per charge also. Just redeem the 40% discount underneath the price. 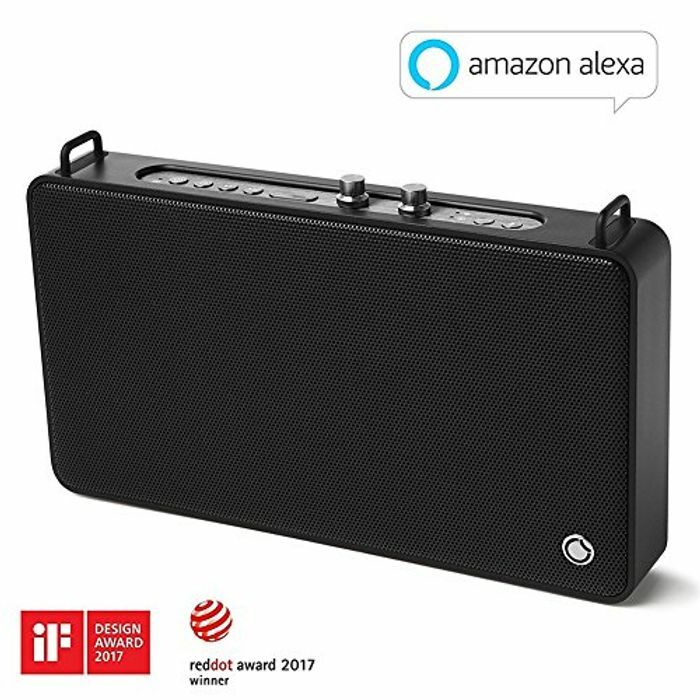 Wireless Wi-Fi/ Bluetooth/ Aux Speaker: bluetooth speaker music streaming local & online via music apps by Airplay/ Qplay/ DLNA in loss-free high-quality quality within a Wifi range of up to 160 feet. Connect via Bluetooth speaker, Wi-Fi speaker, or AUX with your devices like smartphone, tablet etc.